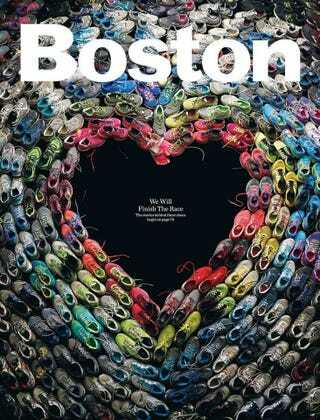 Here&#39;s the May cover of Boston, made entirely of 2013 Marathon runners&#39; shoes. Here's the May cover of Boston, made entirely of 2013 Marathon runners' shoes. I spy toe shoes.